As you build your outsourcing plan, consider the advantages of partnering with Levison Enterprises as your all-in-one ECM. When you choose Levison Enterprises as your all-in-one ECM, we know your entire project, backward and forward. Our dedicated project manager understands how everything works together. Our engineers will look over your complete design for production, possibly saving you money. We are able to reduce shipping and part delays. We are 100% committed to your project and accountable for our work. Our staff is trained for your build. We are able to handle multiple aspects of your build, from design to programming and assembly to shipping directly to your customers. After pouring countless hours and energy into your project, you want to be sure that it is assembled with the same level of care you used to dream and design it. You and your project want and deserve that level of commitment to your project. You can count on it with Levison Enterprises. Levison Enterprises assigns your project its own project manager who is dedicated to overseeing your entire build. Their job is to know your project inside and out, from design, through the assembly, to shipping to the end user. The project manager ensures your project’s integrity and is the key to Levison Enterprises’ expertise in completing your project. Much of what will be needed to build and test your project probably resides in the heads of your own staff right now. It’s one of the most important assets you have and somehow, it has to get transferred to your ECM once you decide to outsource. Levison Enterprises’ project manager is skilled at helping you with this process, including all the nuanced things that often don’t find their way onto paper. In the process, your project manager learns everything about your project and is prepared to make sure your Levison Enterprises team will have the same level of insight. Once your project is in its assembly phase, the project manager oversees the entire process. Your project manager oversees the expert sub-assemblers while they build your project to your exact specifications. If at any time the project manager has a question about your build, the experts are right on hand to get questions handled and potential mistakes avoided. At all phases of your project, Levison Enterprises’ expertise is your expertise. When we know all of your parts and how they work together, we can work with you to find new efficiencies and mitigate risks. Our team of dedicated experts uses years of project design and assembly and puts it to work on your project from start to finish. From the beginning, our network of trusted vendors will become your network, offering you pricing, quality, and certifications that come through our leveraged relationship. 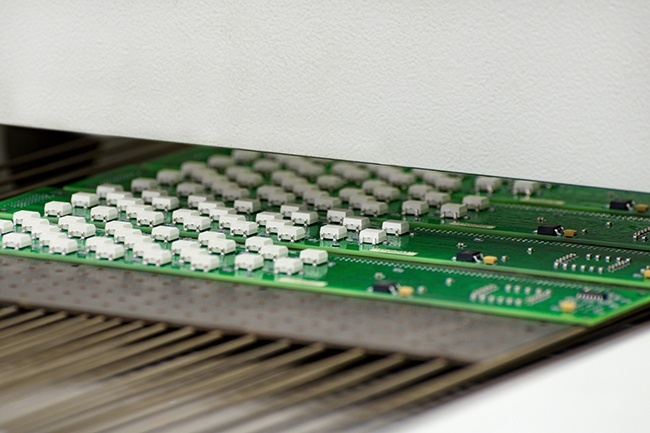 Our array of in-house prototyping options become yours to work out potential issues with your project before it reaches the costly production phase. Levison Enterprises offers cutting-edge prototyping services such as 3D printing to give you inexpensive access to the best prototypes. Finally, for many projects, the quality of the assembly comes down to one thing: the people doing the work. Levison Enterprises has a team of highly-trained and certified experts on staff. We keep up to date on latest technologies, industry standards, and certifications to make your project efficient, safe and high quality. By keeping a diverse portfolio of projects, Levison Enterprises maintains expertise and capacity in a wide range of services, which all become part of your competitive advantage. We are nimble and innovative because we know it makes your product stand out in terms of quality and what keeps your project efficient in terms of cost. Levison Enterprises is certified to work on projects in areas including Industrial, Government, Mobility, Aerospace, Medical, and Food Safety. Each member of the Levison Enterprises team is trained to meet the needs of your project. Your success is our success and we arm ourselves with the best training, technology, and certifications to ensure the best quality and efficiency in each one of our builds. Our quality certifications set us apart from the competition. We take quality seriously and strive for continuous improvement, making us lean, efficient, and able to create your project with speed, but also a superior attention to detail. Levison Enterprises is the nimble domestic ECM you’ve been looking for. We have extensive experience in creating box builds and handling all aspects of our clients’ projects from design to final assembly. Let’s talk about transferring your project to Levison Enterprises.